The scorching summer and looming monsoons have made managing my hair such a tedious task! And let’s not even talk about the affect humidity has on my tresses. Urgh.. I had already been lousy with my hair care routine since March this year, and honestly, the frizzy ends and limp roots had brought me this close to chopping my hair off. Time and again, you must have heard me complaining about my hair on social media. Well get ready to hear a lot more about my love and hate relationship with my tresses, as I am on a mission to grow my hair longer again! I have made up my mind; the weather should not be a factor that affects the length of my hair. And with the intent of longer, healthier hair comes great responsibility. The lousiness in my hair care routine needs to stop right here. To provide my hair with some much needed TLC for this mission, I have included Vatika Enriched Coconut Hair Oil to my hair care regime. 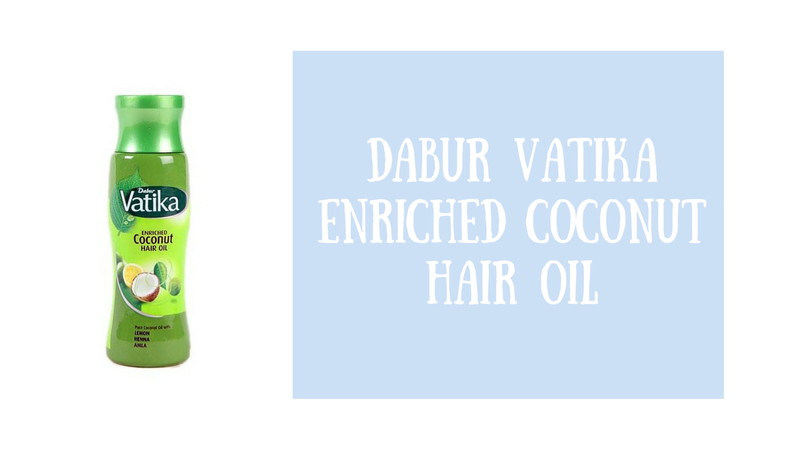 Vatika Coconut Hair Oil is enriched with Heena, Amla, Lemon and six other trusted herbs. The product claims to nourish hair follicles, deep condition the scalp and promote hair growth. For complete details about the product, you can visit their website. It goes without saying that you also need to eat healthy in order to get healthier hair and skin. Along with some healthier food choices, I have incorporated Vatika Coconut Hair Oil in my hair care routine, and have planned to use it at least twice a week. With the goodness of Coconut, Heena and Amla, this sounds like the perfect companion to accompany me on my journey to longer tresses. Wish me luck guys! This Hair oil is really very effetive i also use this and get good result.